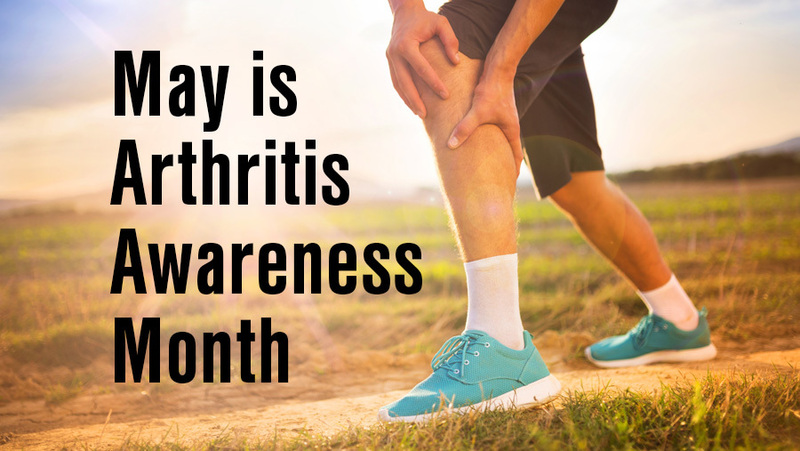 Considered a month of rebirth and renewal, like the other months of spring, May is also known as Arthritis Awareness Month. This month offers Americans the opportunity to become familiar with the most effective arthritis prevention and control strategies, and make a difference in the lives of people of all ages, who have already been diagnosed with this disease. 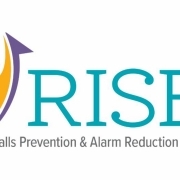 At this point, according to the numbers provided by Arthritis Foundation, this prominent health concern affects the lives of more than 50 million U.S.-based individuals, and constitutes the leading cause of disability nationwide. These numbers are alarming, considering that they suggest the fact that 1 in every 5 American adults suffer from arthritis. The same disease impacts the wellbeing and development of 300,000 children and their families. The Arthritis Foundation is giving people the chance to gain an important advantage in the battle with arthritis and its life-changing effects by offering them access to its resources, tools and advanced scientific research, meant to help arthritis patients improve their level of comfort and their quality of life. Aside from being the number one cause of disability in the U.S., arthritis is an important negative factor that stops people from pursuing academic and employment opportunities matching their goals, aspirations and qualifications. According to the statistics made public by The Arthritis Foundation, working-age people with ages ranging from 18 to 64 who are diagnosed with arthritis are less likely to get the job that they have applied for than those whose lives are not disrupted by this disease. Moreover, arthritis also impacts the wellbeing, productivity, health and financial security of one third of all working-age individuals who work full time or part time, taking into consideration that arthritis and other health concerns that can be linked to this disease are associated with 1 million hospitalizations on an annual basis, leading to expenses estimated at $156 billion per year in medical costs and lost wages. Unlimited access to information can help patients and their families employ the most efficient arthritis prevention and control strategies. Physical therapy and positive lifestyle changes play an important part in this equation, proving that the best treatment for arthritis doesn’t have to come from a medicine bottle. Any specialist in physical therapy can affirm the fact that exercise is the healthiest and most effective method to relieve stiff joints and the discomfort caused by arthritis. Even though most people who are in pain prefer to stay in bed and avoid any type of movements, exercising is the best way to improve joint health and mobility. 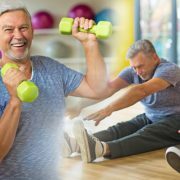 Strength-training, stretching exercises and aerobics are incredibly helpful, and can be personalized to meet the specific needs, age, medical history and physical condition of each patient to deliver the most remarkable results. Physical therapy is a key component of treatment in individuals diagnosed with arthritis. Regular workouts, therapy modalities that can reduce inflammation and decrease pain (such as Ultrasound and Electrical Stimulation (E-Stim), in addition to doctor-approved exercises that are safe to perform, and adequate physical therapy, can boost flexibility and mobility and help patients maintain an ideal weight. At the same time, these two essential elements can prevent further complications associated with arthritis and a sedentary lifestyle, such as obesity and diabetes. For instance, a comprehensive wellness program like MoveWell can engage older clients in adequate fitness measures. This whole person wellness program is suitable for those who want to maintain an active lifestyle and minimize the effects of debilitating conditions, such as arthritis. MoveWell is based on Core Four – a sum of the four principles of physical wellness – Strength, Endurance, Balance and Flexibility. Unlike other similar wellness programs, MoveWell is both exciting, beneficial to one’s health, and socially engaging. Clients enrolled in this program have discovered a new method to preserve their independence, strengthen their bodies and prevent limitations associated with aging or debilitating health conditions by improving their lung and heart health, building muscle and stronger bones. MoveWell is only one of the beneficial programs developed by HTS to improve the lives of the aging population. Healthcare Therapy Services, Inc. offers a wide array of wellness services and onsite contract physical, occupational and speech therapy specially designed to match the specific needs of senior living communities. These services are created to promote safety and independence, and to give seniors a chance to improve their quality of life. A senior living community, CCRC/Life Plan Community, assisted living and even long term care can address the special non-medical and medical needs of patients with arthritis by offering them access to information, medication and physical therapy adapted to their age and medical history. At the same time, it’s safe to say that anyone can help improve the lives of people whose mobility, flexibility, state of health, finances, and every other aspect of their existence has been dramatically changed by arthritis. People can support this case by becoming an Arthritis Foundation Advocate, or sign up to attend one of the events organized by The Arthritis Foundation to help raise money for further scientific research and a cure for the disabling condition that stops nearly 53 million Americans from reaching their full potential. By accepting the Become a Champion of Yes Challenge, everyday people get the opportunity to make their voice heard, and share their story with millions of people who are also struggling to explore new methods to get relief from arthritis. During Arthritis Awareness Month, individuals diagnosed with arthritis are encouraged to inform and educate others by speaking openly about the hopes, accomplishments, obstacles and challenges that they have experienced during their fight with arthritis. Those who want to support the efforts of the Arthritis Foundation can make a donation to support the progress towards a cure and enhance access to resources and tools developed and implemented to improve lives.